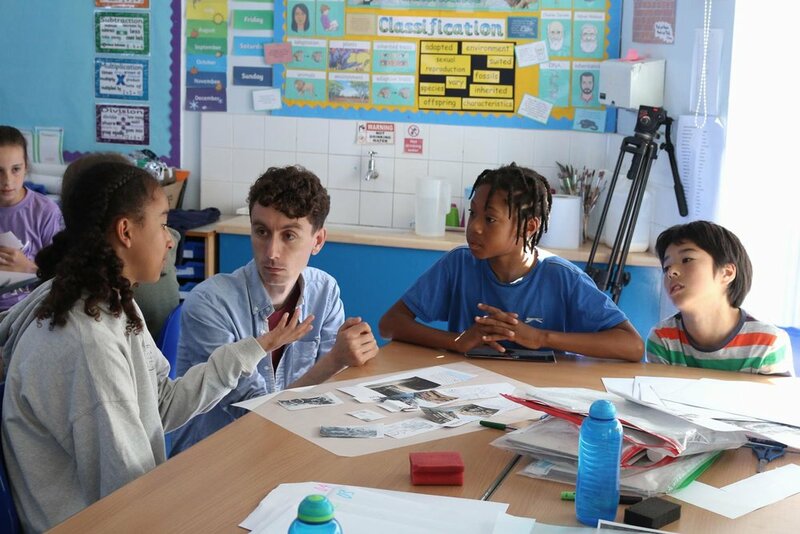 As part of the RIBA Architecture Ambassadors programme we developed a series of two workshops with Rokesly Junior School drawing on the school’s existing interest in community and cultural outreach. The workshops revolved around modes of transport in the city and how its infrastructure impacts the community and affects the way cities are shaped. The aim was for the students to think about alternative ways of transport and ultimately to imagine London devoid of cars: how would that affect the way we live and the way our streets work? What would we do with the extra space? The first workshop focused on understanding and raising discussion about the way different cities look like by considering city plans and the historical evolution of transport. The students questioned alternative ways of travelling and, through the use of collage, started reimagining their own streets and neighbourhoods if there would be no cars. The second workshop saw these ideas come to real life by collectively building a full size street scene. Throughout the day, this group of ninety 11-year-old students built their ideal streetscape made out of cardboard, materialising their own new and refreshing concepts. A key aspect of these workshops was for the students to be encouraged to work as a team, learning how to organised and delegate tasks and understanding that through collaboration one can achieve greater results. Ultimately, we wanted the workshops to enthuse the students about the positive impact of good design, not only on the way we live but also on the way we interact with one another and the world around us. Special Thanks to Fiona MacDonald.